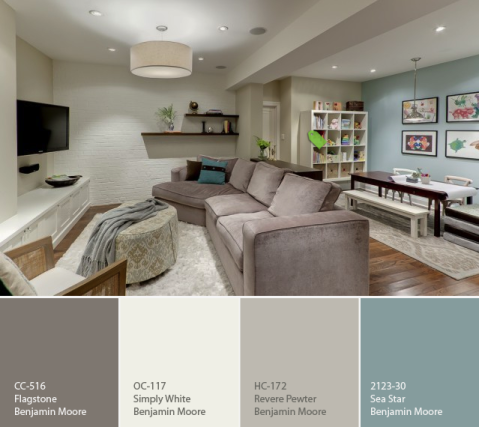 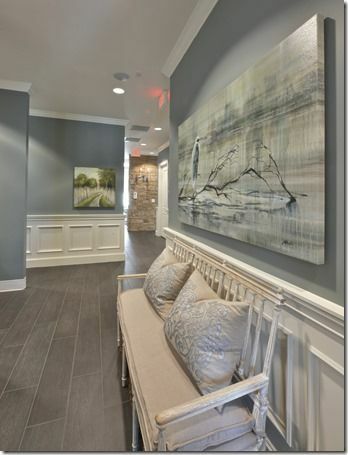 Benjamin Moore Basement Colors & Wall Paint Color Is Benjamin Moore Sea Pine. 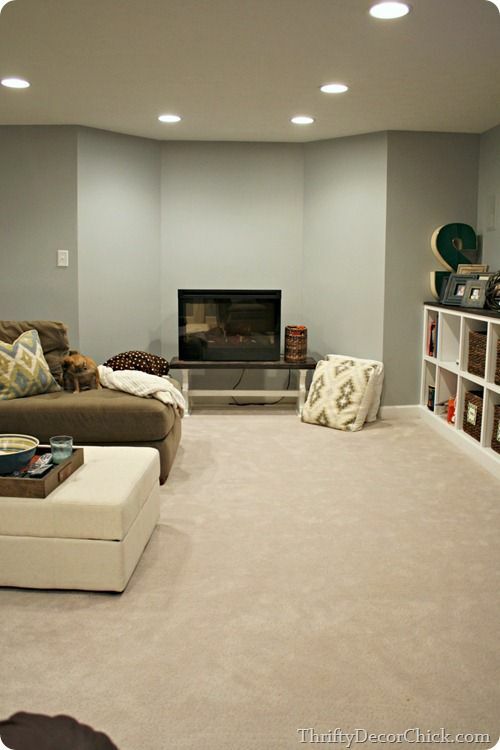 Stunning Mid Tone Blue/gray. 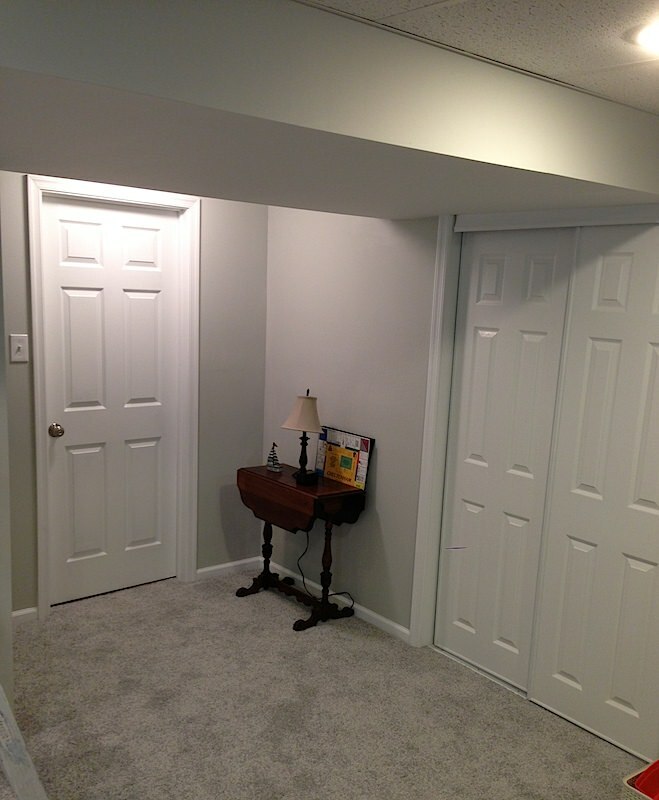 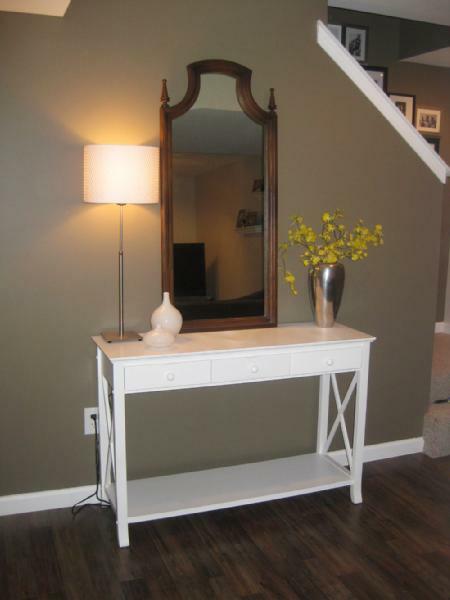 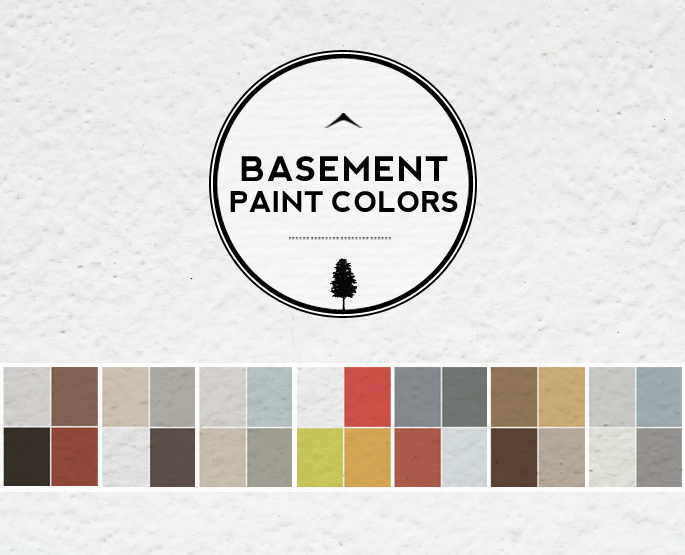 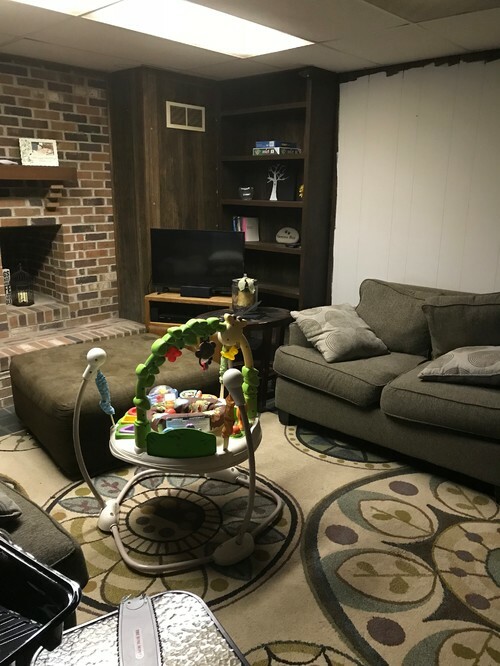 The finished basement---main wall color Marina Gray Benjamin Moore - lightened 25%.